The International Award for Young People, Karelia organised a youth camp from 3rd August to 9th August in the Republic of Karelia, Russia involving delegates from different countries namely India, Singapore, Slovenia, Israel, Finland, Russia and the other CIS countries of USSR. Some of the participants share their experience. “During the camp, apart from participating in many workshops such as music, dance, agriculture, fishing, we also did social service like painting windows, building wooden pathways, cleaning river banks, etc. Interaction with foreign delegates was a spectacular experience in itself. 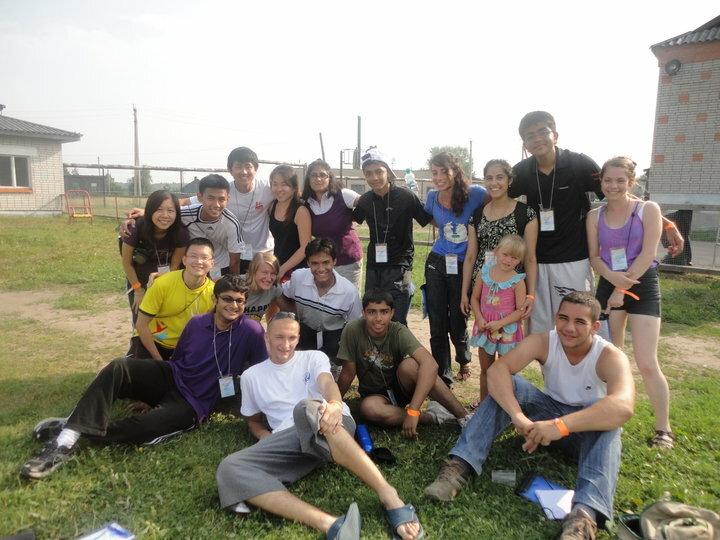 There were many interactive sessions and fun-filled games that helped us get along with other participants. During the camp, we had a trek to a nearby village called Bolsoe Shelga where we learnt about their culture, folk dance, traditional instruments, and lifestyle. A ceremony had been conducted in the camp in which delegates of all countries had to make a presentation about their country and display it as a workshop to the participants of the camp and the local villagers during which India received a lot of interest from everyone. There was a dance ceremony organised in the camp in which everyone had to dance in groups on all the tunes of life symbolised by different colours of the rainbow. On the last night of the camp there was a closing ceremony in which the participants performed the Russian traditional dance. The last night was amazing with the camp fire and participants singing and dancing till mid night. The foreign delegates were given certificates for their participation in the camp, and finally a special ‘Thank You’ was given to the local villagers without whose help the camp would not have been successful. On the last day we were taken to Kizhi Island, a historical place, for an excursion. The camp was an amazing experience for all of us; we met the best of people from different corners of the world. We were surprised to see a Russian lady performing Indian Classical Dance and a guy from Israel singing Bollywood songs. After the camp we visited the two of the most beautiful places, St Petersburg and Moscow. In St. Petersburg, we saw the winter palace, their churches and also had a boat ride on the river Neva. We also met few of our friends from the camp.